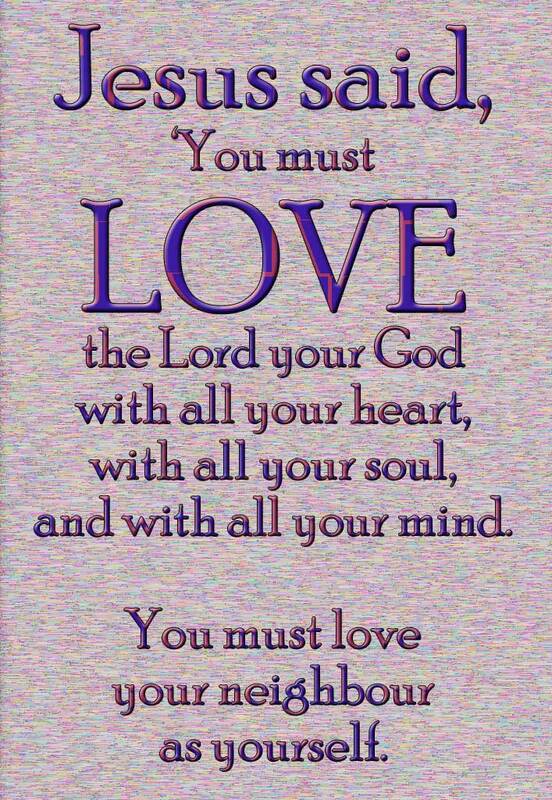 ‘To love God and love your neighbour’ – this is one of the most attractive of the sayings of Jesus. It is an encouragement to live fully with what brings the greatest joy in life – true love of God and the neighbour. It is at the heart of good religion, and what attracts many to Jesus. Bad religion puts law above love. Bad religion fights for the partial truth of religion. We are all victims of bad religion, like we can be victims of bad nationalism psychology or any other way of living. Jesus’ life was to propose good religion and to live by it. We admire those who give energy in love and service. We are proud of people we know whose lives make a great and good difference to others. We know that our family and neighbourhood, parish and school, workplace and leisure time have been enriched by the self-sacrificing love of many people, young and old. He gave all he got – we say that at the end of a match of a good player. May we give all we have in our lives, giving in love, knowing that all we give it itself a gift from God, the giver of all good gifts. This entry was posted in Gospel of Matthew, Gospel Reflection, Liturgy Resources, Prayer Resources, Scripture and tagged Donal Neary SJ, Gospel Reflection, Jesus, Love, Matthew 22:34-40, neighbor, neighbour, Religion, Sunday Gospel and Reflection for 19th October 2014, Sunday Scripture and Reflection for 28th Sunday Ordinary Time Year A, Sunday Scripture and Reflection for 29th Sunday Ordinary Time Year A.